The OJOS Extraocular model simulates the external anatomical features of the eye, including conjunctiva, sclera, cornea and rectus muscle insertions. 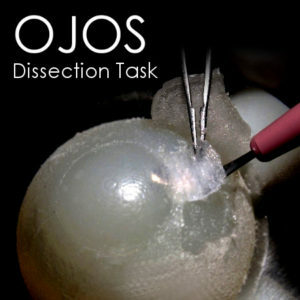 This model allows demonstration and practice of numerous techniques requiring dissection and manipulation of the conjunctiva and sclera. Use with FLEX-ORBIT for best results.